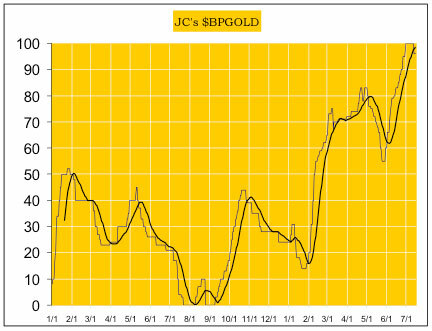 Technical analyst Jack Chan charts a major buy signal in oil and a possible correction in gold. Our proprietary cycle indicator has turned up this week. $OSX has confirmed a new major buy signal, which can last for months and years. 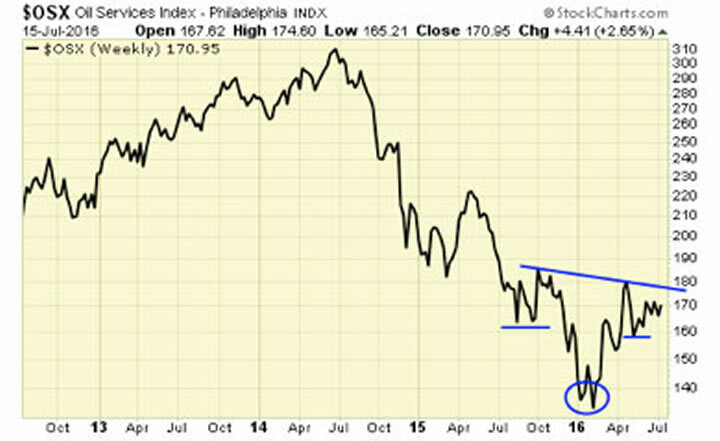 Oil stocks as represented by $OSX has a bottoming pattern in progress. 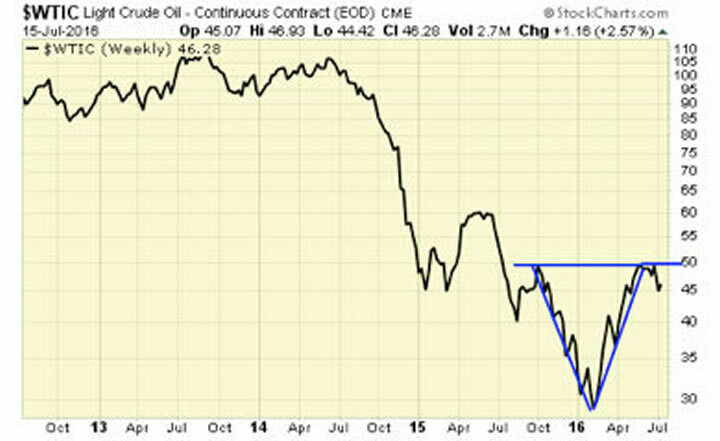 Crude oil also has a bottoming pattern in progress. 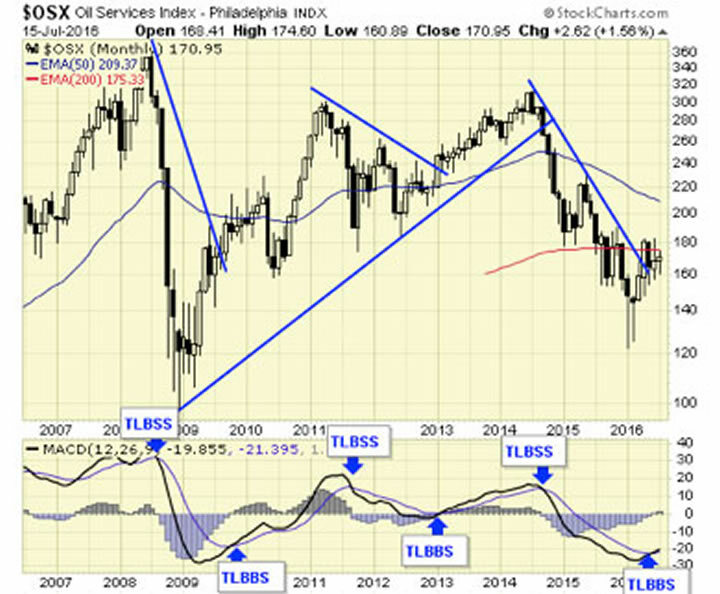 With a new major buy signal in place and the cycle having bottomed, investors can cost average in on oil stocks and/or ETFs, and hold for the long term. 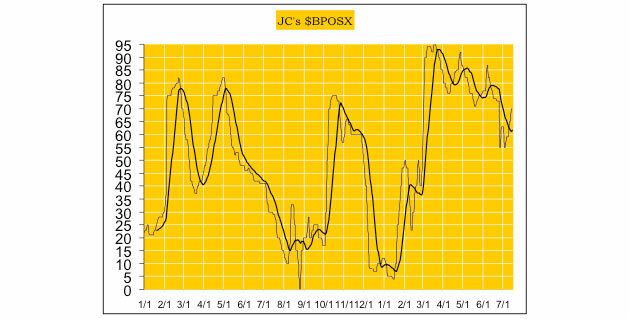 Our proprietary cycle indicator reached 100% and turned down this week. 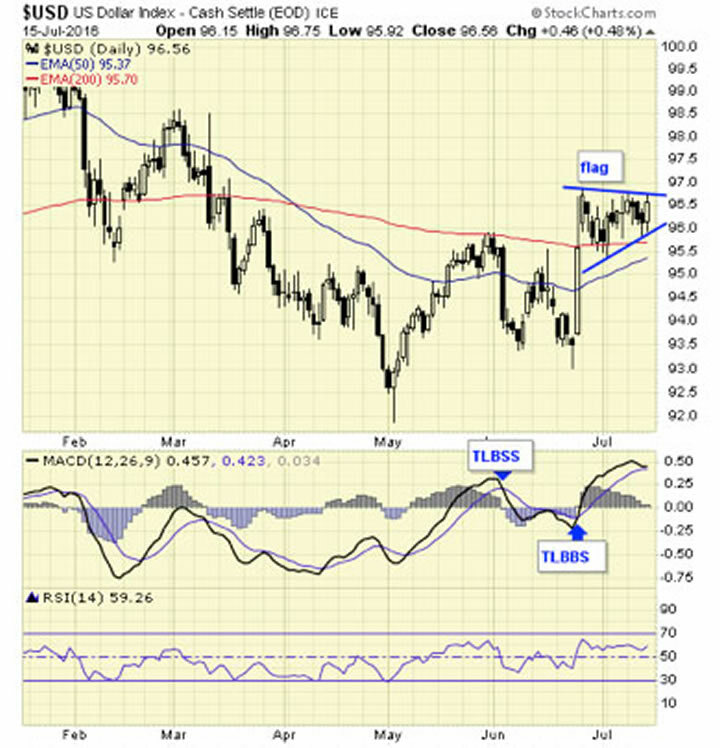 USD has a flag pattern in progress, which suggests a trend continuation. A bull market in gold and silver is now confirmed, but the cycle has turned down, suggesting that a long overdue correction may have started. USD also appears to be set for a breakout, which will not be supportive to metal prices. Caution is advised. Jack Chan is the editor of simply profits at www.simplyprofits.org, established in 2006. Chan bought his first mining stock, Hoko Exploration, in 1979, and has been active in the markets for the past 37 years. Technical analysis has helped him filter out the noise and focus on the when, and leave the why to the fundamental analysts. His proprietary trading models have enabled him to identify the NASDAQ top in 2000, the new gold bull market in 2001, the stock market top in 2007, and the U.S. dollar bottom in 2011. 1) Statements and opinions expressed are the opinions of Jack Chan and not of Streetwise Reports or its officers. Jack Chan is wholly responsible for the validity of the statements. Streetwise Reports was not involved in any aspect of the article preparation or editing so the author could speak independently about the sector. The author was not paid by Streetwise Reports LLC for this article. Streetwise Reports was not paid by the author to publish or syndicate this article. 3) From time to time, Streetwise Reports LLC and its directors, officers, employees or members of their families, as well as persons interviewed for articles and interviews on the site, may have a long or short position in securities mentioned. Directors, officers, employees or members of their families are prohibited from making purchases and/or sales of those securities in the open market or otherwise during the up-to-four-week interval from the time of the interview until after it publishes.